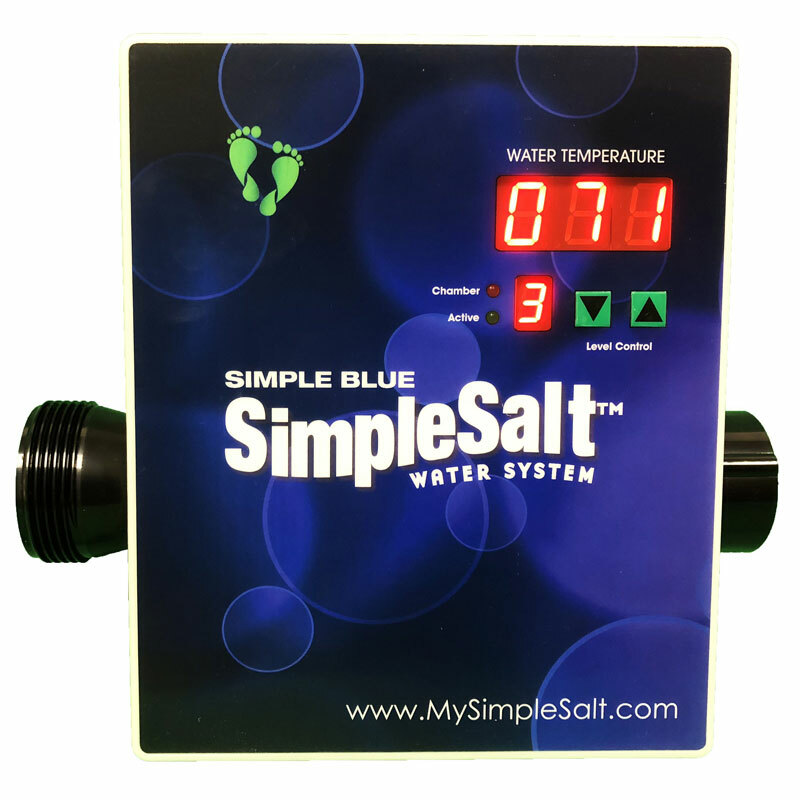 The Simple Salt hybrid system uses a very small amount of salt to aid in the release of natural minerals to purify your water. A simple once a week routine keeps your pool sparkling clear with virtually no chemicals. Simple electronics that show you the status of the unit and pool temperature. Easy to use adjustment knob controls output of minerals. Natural minerals that are safe for you, your family, and our environment. Greatly reduces itchy skin, irritated eyes, faded swim suits, and chemical odors. Non-corrosive and eco-friendly to operate. pH neutral. Less time balancing chemicals.